There are so many factors when it comes to making a sale that many SaaS companies focus (almost) entirely on the marketing and lead nurturing elements of their funnel. Sometimes, it’s only to find out that their new users are dropping off at an alarming and unsustainable rate. While calculating the cost to acquire your customers (CAC) is extremely important, it will all be vanity if you can’t keep them for a long enough period of time. Arguably one of the most important metrics to any software as a service is the churn rate. Your churn is the number of your customers leaving (typically calculated monthly). Any guesses as to the number one cause of a high churn rate? There are so many reasons why your customers would want to abandon ship shortly after they purchase, but the illustration that best fits our purposes is teased by our title. Imagine being in the golden railroad days for a moment. Someone buys a ticket for a specific destination, and it would be unheard of for them to open the door and jump out of a moving train before they reached their stop. 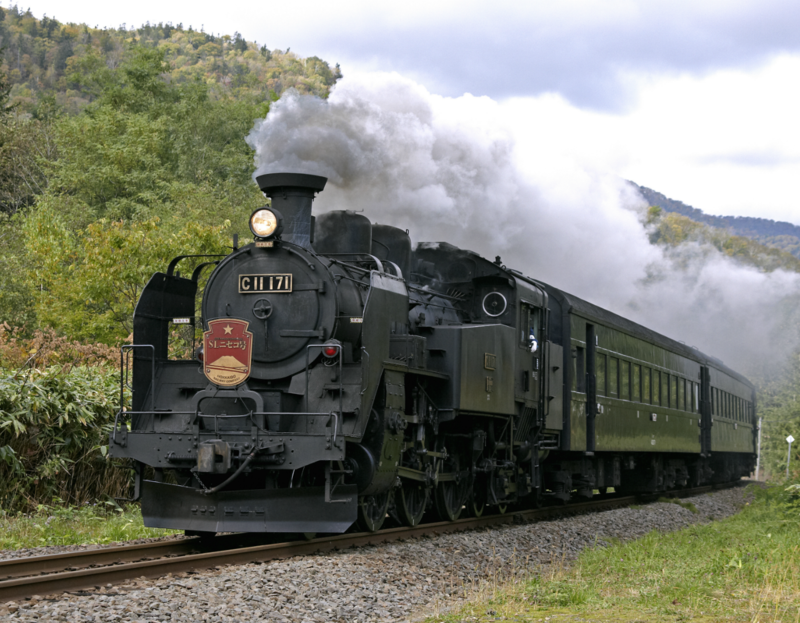 In order to make your products as iron clad as a powerful steam propelled machine, we’ll look at a few tactics you need to implement in order to keep your clients onboard until their journey is complete. Ready to embark? Let’s go. SaaS companies can be very lucrative to a good sales person. Selling is a skill and some are so good at it they don’t need to care about the customer (or even the product) to exceed goals. If your team isn’t concentrated on finding people who genuinely need your product(s) they may be selling tickets to the wrong station. It’s all about explaining and fulfilling your client’s desired outcome. Essentially, this is the need that your product fulfills along with the experience you provide. Example: Let’s say you have an inventory management app for restaurants with multiple locations. It’s perfect for restaurateurs trying to keep track of 2–3 places with minimal staff. It helps prevent the headache of running out of food while business is growing rapidly. Can it work for individual restaurants? Of course. Can it work for restaurant chains, too? You betcha. Will single restaurants have a higher churn rate? Most likely. All it takes is one hot shot sales person to figure out there are 100,000 potential single location restaurants to pitch, and you’ll be paying out a huge commission for customers who will leave before you make your money back. Ensure you and your sales team have a strong idea of your ideal customer. This is the customer avatar you have developed your product specifically to help. Not only will this help you lower churn, you’ll also be able to improve your copy and pitch. In the end, you’ll create a destination in their mind that will have them begging to jump onboard. Food for Thought: Extremely aggressive sales pitches (think short sleeves and a tie) can ultimately cause a new client to leave regardless of having an awesome onboarding process. You’ve seen it in a movie (or two). A few people desperately late for their train. Running alongside, hoping to hop on before they run out of the station platform. The attendant’s there, waiting at the open door catching luggage one piece at a time and then grabbing the hands of the late passengers getting them onboard just in time. The attendant is also out front making sure everyone is aware of when the train is leaving, helping with any issues. Finally, when the “All Aboard” is called, there isn’t anyone who is confused about where the train is headed. Same goes for your SaaS product. You need to ensure that customers have a fair shot at using your product without any problems. In the SaaS world, it’s called initial customer success. This means that once you paint the pretty picture that gets the sale, you have to walk them all the way through until they use your product on their own. It doesn’t matter if a customer knows what your product can do, or even that it’s right for them. That’ll get you the sale, but remember this: to keep the monthly payments rolling in, you need to help customers get value from your product. Typically, you can onboard customers with an email series that you can have set up to deliver tutorials, FAQs, and other handy onboarding content. Triggering a new email when each new milestone in your product is reached can be a way to not only onboard properly, but delight a customer with personalization. Email marketing after the sale can be cumbersome, but it doesn’t have to be. Here are a few quick tips to create your own automated “train attendant” and help everyone get to their destination. Put yourself in your customer’s shoes and figure out what questions they’ll need answered before they ask. Let’s continue using our restaurant example above. Example (continued): The typical restaurant owner who just opened a second locale is going to be stressed. So teach them quickly how to use the inventory list, see needs in real time and for fast orders, and add other team members to the software. The bottom line is, when you empathize with your ideal customer, you can detail a very specific set of emails and know when to send them out. Each of your emails should clearly portray what and how to do THAT step. Your customers will appreciate a minimal effective dose of information. Picture your series of onboard emails as a tour guide that ushers clients to their seat, instead of a travel agent that sends them off with directions. Link directly to relevant parts of your app in each email. Include gifs that detail complicated steps in the process. Have video training for the most confusing parts of your app. Have a detailed list of FAQs. When’s the last time you sent out an email to your existing clients? We’re not talking about updates or news, either. I’m talking a pure value, “just for you, glad to have you” email that continues the conversation. A good railway will wait until everyone is comfortable before they send the attendant through the entire train, punching tickets. You ever wonder why they did/do this? The money’s already been made. It’s because over half of their customers will come back home, and if the experience isn’t enjoyable, they may just opt for another means of travel on their return journey. To enhance the experience, the attendant slowly makes his way through each car, talking with families, letting the kids try on his cool hat, and making sure they are comfortable. While you aren’t selling tickets, you are always selling next month and the next year to your current customers. Having an adequate post sale process includes a plan to continue the conversation. Having a process that ensures your customers are nice and cozy before the train leaves will reduce your churn. Although, having a good communication channel with existing clientele will open far more lucrative doors. Example: Imagine if the above restaurant SaaS kept in touch with clients to find that a significant portion turned into small chains. Now, those customers have outgrown your current product. An awful predicament for some, but if you’ve built a relationship, it’s an opportunity. A built-in audience for a product with the same bones, but with larger capabilities could open up a whole new market. Better yet, you have a group of loyal beta testers to give you an easy bump into a more competitive market and easier marketing strategies. Parting Question: Does Your Train Have a Good Attendant? Throughout our onboarding journey, the key player has always been the attendant. You need a process that is there for every step of the post-sale journey. Let customers know how to effectively start using your product, walk beside them as they put it to use, and finally continue the conversation in a meaningful way. When customers sign up for your app, do they know where you’re taking them?